Excessive bleeding is a risk for anyone on anticoagulants. 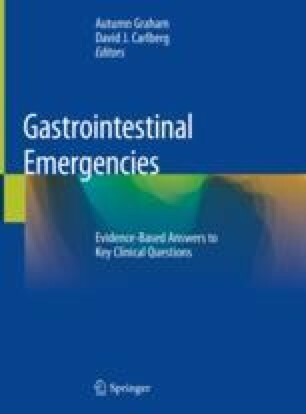 For patients with significant gastrointestinal bleeding, reversal of anticoagulation is usually needed to stop the bleeding. The effects of warfarin are reversed with vitamin K; however, reversal may take many hours. Fresh frozen plasma (FFP) and prothrombin complex concentrate (PCC) will provide more rapid reversal for patients on warfarin who are actively bleeding. In recent years, direct-acting oral anticoagulants (DOACs) are more common. Only one DOAC, dabigatran, currently has a specific reversal agent to stop bleeding.